Ethan's Ardelli's quartet comes through Lethbridge this Friday as part of his Canadian tour, one of three notable jazz shows from away to check out this month. 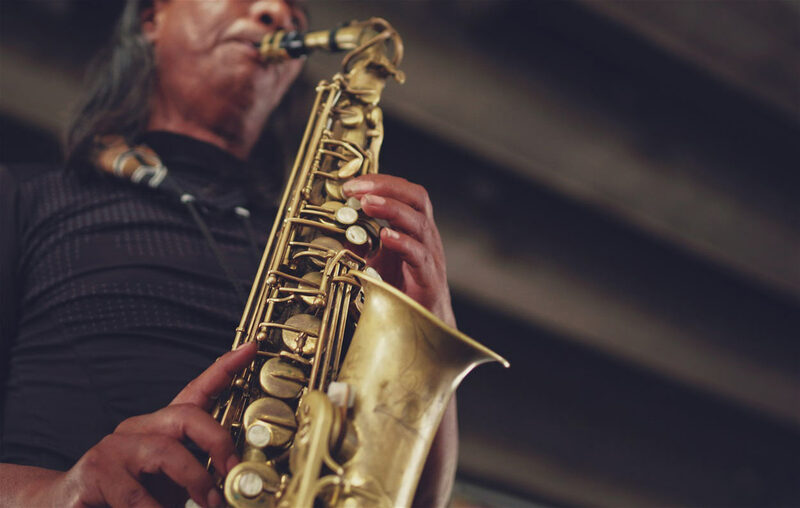 Ardelli's group is made up of some of Toronto's best jazz musicians who are making their mark on the Canadian jazz scene. Pianist Chris Donnelly performs worldwide with trio Myriad3, Luis Deniz is an exciting alto saxophonist originally from Cuba, and bassist Devon Henderson, who along with Ardelli hails from Nova Scotia, plays with many groups including Royal Wood. Ethan's performance credits are extensive, and this group demonstrates the depth of his musicianship and his ability to bring together a stellar group of musicians. My history with two of these musicians dates back to 2005, as a graduate student in the jazz program at the University of Toronto. Ethan, Chris and I played in a small ensemble together, and it was clear back then that both of them were going places. Chris and I started our master's degree at U of T together; his creativity and skill on the piano was and is awe-inspiring. Ethan's kind demeanor and his huge ears (not literally) made him a go-to collaborator for countless musical groups, which continues today. Friday's show at The Slice is a definite not-to-miss. These musicians are at the top of their game. I'm excited to hear them and re-connect with friends I haven't seen for quite a while. Vocalist Andrea Superstein plays The Slice on November 11th, and while I hadn't yet heard of her, her performance credits and musical collaborations are impressive. She is in Lethbridge as part of a BC/Alberta tour releasing her new album, Worlds Apart. This album celebrates her relationship with her current city, Vancouver, and her hometown, Montreal. Her creative approach and connection to contemporary Canadian jazz is evident, making her appearance in Lethbridge an opportunity to experience a little piece of the nation-wide jazz scene. The third jazz group from away this month is the Dirty Catfish Brass Band, a horn-heavy group based in Winnipeg. I've seen them play in Winnipeg on many occasions and am eager to see them in Lethbridge as part of their western Canadian tour. Dirty Catfish Brass Band is made up of a few long-time friends and collaborators of mine. I've known a few of the musicians in this group for as many as 17 years-we studied music together at Brandon University. Andrew Littleford (trumpet) and I are frequent collaborators, co-leading the Littleford-Carter Quintet; and Kyle Wedlake (sax), Joel Green (trombone), Andrew Littleford and I all played in the Winnipeg Jazz Collective, a tentet I started in Winnipeg in 2013. Dirty Catfish is a lively group that has built a name across the country. While the New Orleans style is front and centre, their contemporary jazz pedigree is ever-present, delivering an exhilarating performance. It's quite a month for jazz in Lethbridge. Let's show these great out-of-town groups that Lethbridge is a destination to hit-come out and enjoy these shows at the Slice!